Development of the Professional ….. Term 2 has begun and things are feeling a lot more settled. The kids (as usual) are FANTASTIC and are straight into learning – I LOVE IT! Our technology is all working without any hiccups (touch wood), I am coming to grips with the Australian Curriculum and everything is running smoothly. This post however is not about my first term in an international school and the ups and downs of living in a new country (maybe that can be next). It is however about my latest in school professional development that I have attended which has re-inspired me. We were lucky enough to have Janet Fellowes join us from Australia. 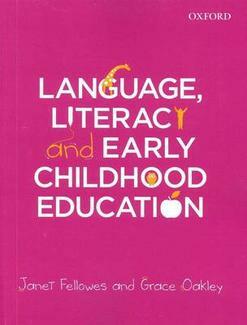 Janet is a Senior Lecturer and Edith Cowan University and is the author of “Language, Literacy and Early Childhood Education”. Language, Literacy and Early Childhood Education is a textbook for all students studying literacy and language subjects in early childhood education and primary degrees. Covering an age range from 0 to 8 years the book encompasses the four main early childhood contexts of: the family and community; childcare; the pre-school years, and the earlly years of school. The text is based on the latest research and theories, complemented by practical strategies and activities designed to equip pre-service educators with the skills they need to feel confident about their work in early childhood education environments. Our session focussed on the teaching of reading. It refreshed to me some exciting and relevant ideas to teach reading. The major things I picked up from it were the major reasons WHY we teach to read and HOW we teach reading. If I could share one thing from the session that I believe is critical to any teacher, it would be: Teach children how to read, teach children why to read but most importantly teach children the strategies they need to be a GREAT reader. Thank you Janet for inspiring me and my colleagues to get back to the ‘grassroots’ and focus on the specifics of reading strategies. So much important information and research is out there about how to teach reading and strategies that we need to jump on it and refresh ourselves for the benefit of the children in our care. In addition to this I would like to refer everyone to Reading Comprehension Strategies by Sheena Cameron. I have attended many of Sheena’s session in NZ and use her book every week in my classroom (even over here in Singapore) – truly inspirational and easy to use materials and ideas. Thank you for being prepared to share your ideas and discoveries Craig!